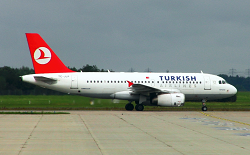 According to reports emerged by the Aviation Herald, The Airbus A319 operating on Turkish Airlines scheduled flight TK 295 from Istanbul to Sochi, Russia was approaching and already cleared to land on runway 02 (ILS approach) in unfavourable weather conditions. Visibility at the airport was reduced in occasional rainshowers, overcast skies and moderate winds. About less than a mile away from landing, the pilots discontinued their approach because of a windshear warning. But instead to follow the prescribed missed approach route to the right (white dashed line) the aircraft turned left straight towards rising terrain. TK 295 continued on the false route for an unknown timespan before local air traffic control (ATC) intervened and ordered the flight to climb to 6000 feet. 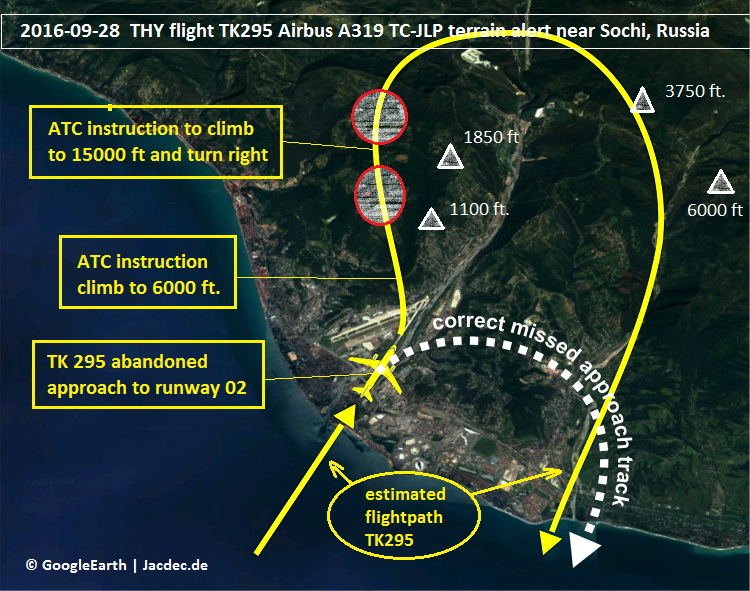 Then ATC instructed the flight to turn right without delay but TK 295 continued straight ahead to the mountains. It was only ater ATC intervened for a 2nd time and ordered to climb to 15000 ft and the immediate turn to the right when the crew complied and climbed out of danger. About 30 minutes later, the aircraft landed normally on runway 06. 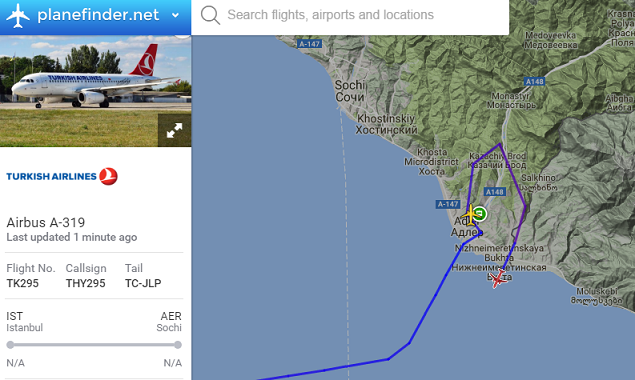 NOTE: This occurence marks the 5th serious incident for Turkish Airlines in the current year.